The gains in domestic stocks markets helped cap the losses in rupee, traders said. The rupee had closed at 63.93 against the US dollar on Monday. The rupee fell to 64.01 per dollar today as the greenback continued to rise against its major peers. 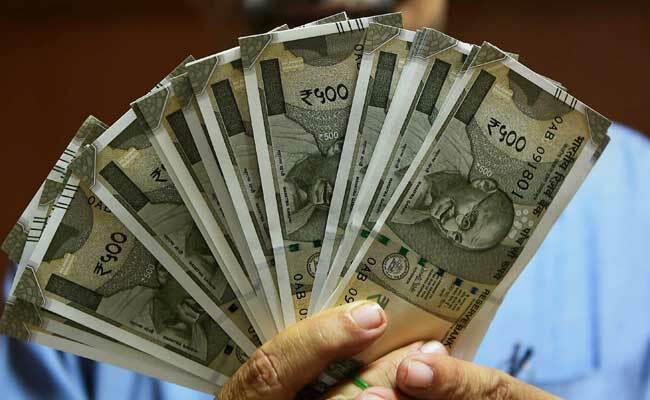 On Monday, the rupee had retreated from its one-month high to end lower by 15 paise to 63.93 a dollar on overwhelming demand for the American currency from corporates and banks. A rebound of the US dollar against other major currencies also hurt the rupee. The rupee is expected to trade between 63.88-64.05/dollar, said IFA Global, a forex advisory firm. At 10:04 am, the rupee was trading at 63.99 against the US dollar. 1) The dollar index had hit a more than over 2-year low of 91.011 on Friday as investors worried about the short-term impact of Hurricane Irma on US economy and the tensions between North Korea and the United States. The dollar index measures the value of the greenback relative to a basket of foreign currencies like yen, euro and pound. 2) However, the dollar index rebounded on Monday. Madan Sabnavis, chief economist of CARE Ratings, said dollar index is one of the factors that affects the rupee. "When dollar weakens in global market, other currencies tend to gain, which is also happening here," he said. 3) Improving investor risk sentiment helped in the rebound in dollar as worries over North Korea and Hurricane Irma receded. The dollar was steady at 109.345 yen today after rallying 1.4 per cent overnight, its biggest one-day surge since mid-January. 4) The gains in domestic stocks markets helped cap the losses in rupee, traders said. The Nifty is back above 10,000 levels amid improving risk sentiment in global equity markets. 5) Currency traders also turned cautious ahead of release of key macro data, including IIP and inflation, later in the day, said some traders.